insults, putdowns, and ridicule in the workplace. wither under a cloud of language meant to humiliate, hurt, and demean. 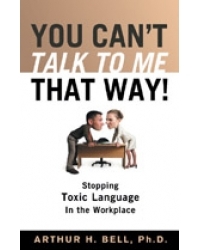 bosses, this book insists “You Can’t Talk to Me That Way!" management strategy, communication, and language.